To get a better idea of what activities are popular from the Fairbanks Princess Riverside Lodge, we spoke with administrative assistant Codie Villalobos. Villalobos said she recommends the University of Alaska Fairbanks Georgeson Botanical Garden to many of the lodge’s guests. The northernmost public garden in North America, the Georgeson garden is a nonprofit dedicated to research in subarctic horticulture. The garden is open through September and has excellent walking paths with benches and bird baths along the way. “The botanical gardens are beautiful – all the local produce and flowers. It’s at its best right now being August and with all the sunshine,” Villalobos said. Another attraction for visitors at the Fairbanks Princess Riverside Lodge is Pioneer Park. 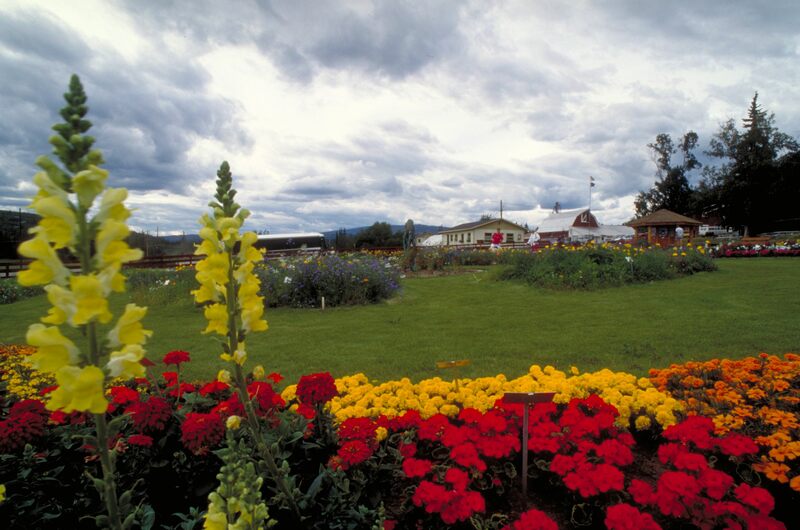 The 44-acre Park was originally built for the Alaska 1967 Centennial Exposition and named Alaskaland until 2001. The park is billed as “Alaska’s Only Historic Theme Park” and features several museums, restaurants, shops and other attractions. “You can make it as exciting or laid back as you want. Spend and an hour or a couple hours – I’ve never had a complaint,” Villalobos said.